Rodeo Drive is celebrating over 50 years of luxury! 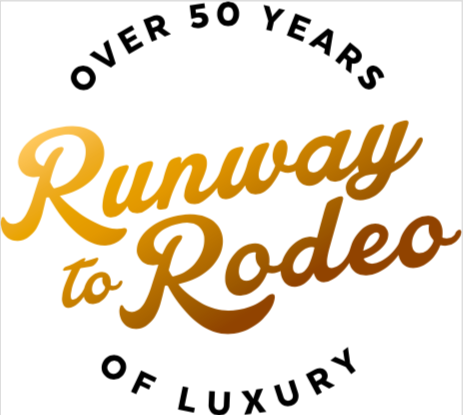 During the glitz and glam of the coveted award season, Rodeo Drive is commemorating its Runway to Rodeo over 50 years of luxury!! This vibrant street party kicks off at 4:00pm on Sunday, February 25th. Open to the public throughout the 200 and 300 blocks, Rodeo Drive will be enlivened and filled with food trucks, live entertainment and dancing, a spectacular towering cake by local Beverly Hills Patissiere Nahid Parsa, champagne garden and more! “I feel such joy and awe whenever I’m on Rodeo Drive, just thinking about the history! More than 50 years ago, the most brilliant designers in the world chose Rodeo as the place to make their statement about beauty and luxury. And that conversation is still happening today! And the best part is that I know in my heart that we will still be talking about Rodeo Drive and fashion for many decades to come,” states Mayor Lili Bosse. Come take a selfie with Rodeo Drive and Beverly Hill’s most famous and Bizbash award-winning art installation, the newly unveiled #ONLYONRODEO infinity room! 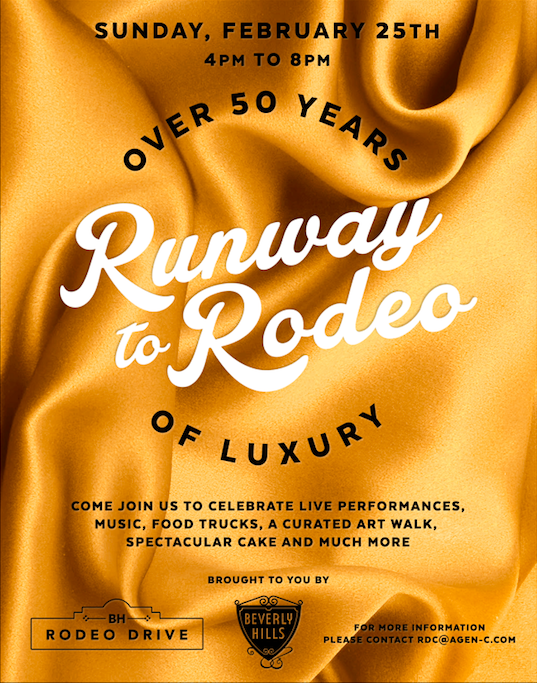 Guests will be able to enjoy delicious treats, listen to beats, and take a step back in time to view the artistic evolution of glamorous Rodeo Drive through the decades! See you at 4.00pm on Sunday, February, 25th!